A contested space environment simulator to emulate GPS jamming. Imagine that you are a Pararescuemen conducting an on-foot rescue of a downed airman. You are using a commercial GPS to navigate but, for a second, your position appears to have been lost. After a few minutes, it returns and you continue on your way. Little do you know that a hostile source is now spoofing your device, feeding it incorrect information and leading you directly into an ambush. Prior training would have kept you from being the unwitting victim of this malicious spoofing attack." - Launch Stories: On Jamming and Spoofing. "With just one training kit, instructors are able to train more than 100 Soldiers a day. Soldiers need only about 20 minutes to get up to speed." 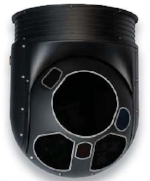 The PNT Hub software reads data out of a single DAGR or GB-GRAM output message, processes this data, and converts it to the subscriber's expected type allowing multiple subscribers to be supported from a single GPS device while maintaining full backwards compatibility for systems designed for operation with a dedicated DAGR or GB-GRAM SAASM or MGUE receiver through the standard IS-GPS-153 interface. 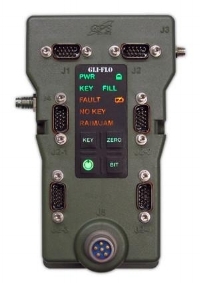 A DAGR or GB-GRAM unit can be configured to provide location/navigation information in selected units and with selected references, but only one operating mode can be selected at a time. When supporting multiple subscribers from a single DAGR or GB-GRAM unit, one must provide information with each subscriber's expected units/references. For some subscribers, message conversion will be necessary.